Turtle doves are declining at an alarming rate, and we know that one of the best ways we can help them is by ensuring that they have the seed food that they need, as well as nesting habitat and access to water on their breeding grounds. To do this at a large enough scale, we will need people to work together, and so the plan is to develop turtle dove friendly zones across the areas where turtle doves remain, to help people to work together to save this species. We held a launch event for one of these zones in November, and Emma Stobart, RSPB turtle dove conservation advisor in Essex, tells us more. 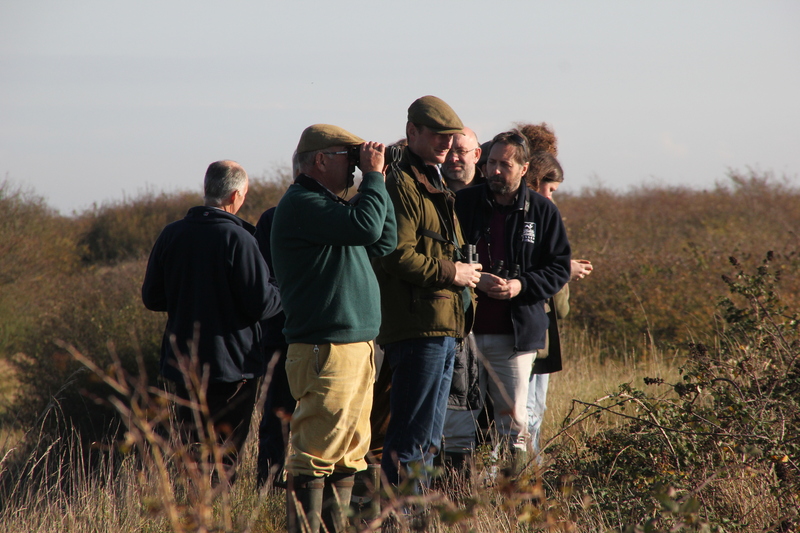 “On the 3 November we held an event at RSPB Old Hall Marshes to engage local stakeholders, with the aim of bringing people together with turtle doves as the common aim. The range of individuals and organisations present on the day, was testament to the enduring image of turtle doves and the desire to work together to stop the decline and bring this species ‘back from the brink’. Farmers from the local area, some of whom are already doing excellent work for turtle doves and have them on their farms, were joined by representatives from the Essex Wildlife Trust, British Association for Shooting and Conservation, National Farmers Union, Maldon Council, Royal Horticultural Society and Natural England. The day started off with a brief introduction and some words from Ian Dillon, farm manager at the RSPB’s Hope Farm. He was able to tell us about the work they are doing at Hope Farm for turtle doves. 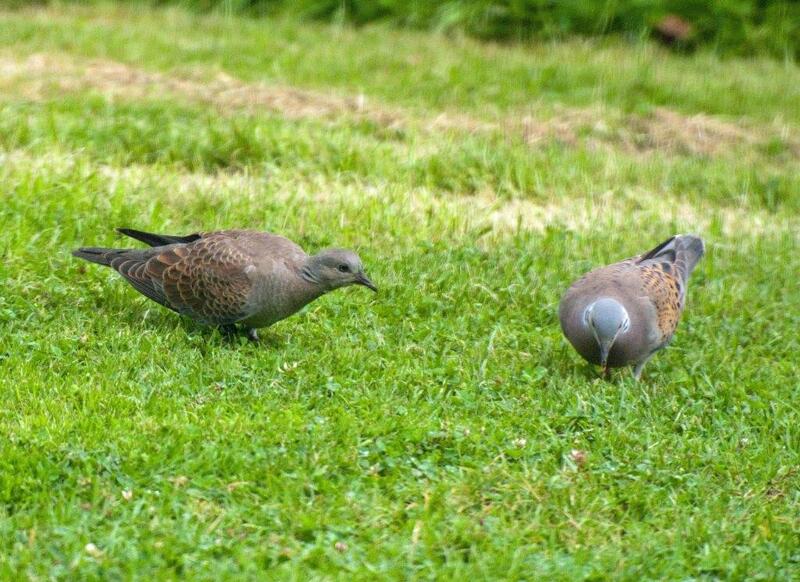 Sadly though, despite all their work, which has hugely benefited the farm wildlife in general, they haven’t had turtle doves on the farm for a few years now, this brought to the fore an issue facing the wider area. Turtle doves are a wide ranging species, they will travel up to 10 km from their nest to find food. Therefore if we don’t work together across the wider landscape, they will continue to struggle. Kieran Alexander, site manager at Old Hall Marshes, showed us around the site and explained the management they were doing for turtle doves, celebrating their successes and honestly explaining the struggles they were having with some of their management. This generated a lot of conversation. Some individuals were able to relate to the difficulties they were facing, while others were able to suggest what had worked for them, giving encouragement at the same time. Sometimes it’s important to recognise we don’t always get things right first time, but we are always working to improve and by sharing ideas and experience, we can make greater steps towards reaching our goals. It was these discussions that were the highlight of the day for me, I certainly learnt a lot from them. There was a real buzz to the day, glorious weather (all pre-arranged of course), a lot of useful conversations, and genuine interest in moving things forward and working together for a common purpose.